7 Tricks t. . . The world struggles to get up on a Monday morning for the workplace. Monday blues envelop them like an eagle wrapping its prey with its enormous wings. Why is Monday such a dreaded day, eh? Monday morning blues can strike anybody. If you ask me, I do not feel Monday morning blues. I have made friends with Monday. In fact, I feel fresh and raring to go on this day. O yes, I am from the same planet as you! Forget work. Do what you love to do. Eat, pray, dance, sing, cook, jump with joy, or simply do nothing...the list is endless. Do things that you cannot do during the weekdays. Be creative. This rejuvenates your body, mind, and soul and readies you for a full week ahead. If you are in Delhi, why not take short Reiki healing courses in New Delhi? Peel off that exhaustion from the body. But, here, I would suggest waking up only about an hour late, not much. Say, if you wake up at 6 am on workdays, wake up at 7 am or latest by 7:30 am on Sundays. Do not exceed 8 am. Otherwise, you would find it difficult to wake at 6 am on Monday. This holds especially true for long weekends. Waking up too late during weekends and Sundays is one of the reasons for Monday morning blues overshadowing you. Your body feels lethargic the whole day. This lethargy gets carried on to the most important workday, which is Monday. In fact, it lingers you throughout the week. So, rise and shine early. You will get more time to do things that you are unable to do on weekdays. If you stay up late on a Sunday night, you will feel groggy on Monday morning. This gives a good chance for the blues to attack you. If you really want to be the night owl, do it on a Saturday night. 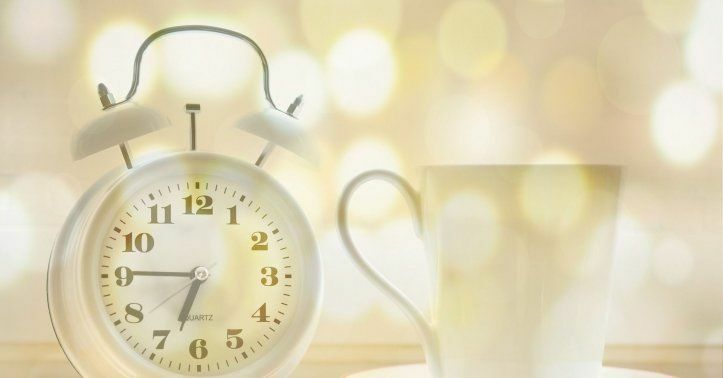 Even if you sleep at 1 am, you can get up by 8 am and feel refreshed. One of the reasons I ask people to avoid late nights and late mornings is that it sends your body's biological clock in a confused mode. You don't feel like waking up on Monday morning. When you wake late or drag yourselves from the bed you invite rush hour and demotivation. Not a smart way to start the week demotivated at the workplace, is it? Unable to sleep? Feeling anxious or restless? Want to balance your body's "sleep clock"? Theta healing is a good therapy for you. It helps you tune your brain to the theta frequency, which ushers in deep relaxation. This rejuvenates the brain, which, in turn, increases productivity in your active state of mind. You can also enroll for short theta healing courses in Delhi. Get your Monday morning clothes ready on Sunday night. Brush up your bag. Wash your hair and condition them. Ladies, apply fresh nail polish. Gentlemen, groom yourselves. Iron your clothes beforehand. Prepare all the small things that you need in advance to avoid the morning rush. When you are prepared you actually look forward to greeting Monday morning with a smile and confidence. 5. No blues on Monday! Please do not wear blue on Monday. Choose a vibrant color. Orange, yellow, red, and green are energizing colors. Choose a bright shade this day. Also, wear your best dress on Mondays so that you can kick off the blues. When you feel good and beautiful you also appear the same. Blues don't affect the beautiful (and the handsome)! Keep some exciting work pending for Monday. This way, you would be eager to reach the workplace on Monday. Or you could plan to take your favorite route on Monday. Have some thrilling news to share with your colleagues? Don't share on Sunday. Keep it for Monday. Believe me, you would be dying to reach office on Monday! Blues, who's that! Old friends are people we take for granted in a busy lifestyle. Because they are always there, we assume they will always be there. But hey, you must meet them once in a while! What better time than weekends? Cherish your friendships. It creates a soothing effect on your mind and soul. The same is true for exercise. Never take your body for granted. This is also like your old friend. Pamper it. Do it on weekends and Sundays. You will feel awesome. Oxygenated blood rushes to every cell of your body as you stretch and move. You feel energized. Your skin glows! Yoga and meditation are the most powerful weapons to kill Monday morning blues. Ever done Reiki healing for weight loss? Try this. It is astonishingly effective. Ever wondered why Monday mornings come with the blues? This is something related to psychology. When you have a nice weekend your mind wakes up to the fact that Monday has arrived and now you must work for 5-6 days at a stretch. This creates a kind of mental block...and then you start feeling the blues. This is just a mindset. Change it and you stop feeling blue. If all the above don't work for you, change your job! Yes, folks, I am serious. You are at the wrong workplace. Find your calling and pursue your dream job. Stop dragging yourselves to work every day. And if you can't...just can't leave the job, develop a liking for it. Set deadlines. Increase your focus. Think, "what is to be done is to be done." This brings in excitement at the workplace. It is time to introduce more colors to your workplace, apart from blue! Why not schedule a session with Dr. Naveen Sharma, the famous astrologer and vastu expert in Delhi? Know whether you are at the right career track and what lies ahead. Also, know how to increase the presence of positive energy at your home and office so that you feel less blue and more orange (the energy color)!